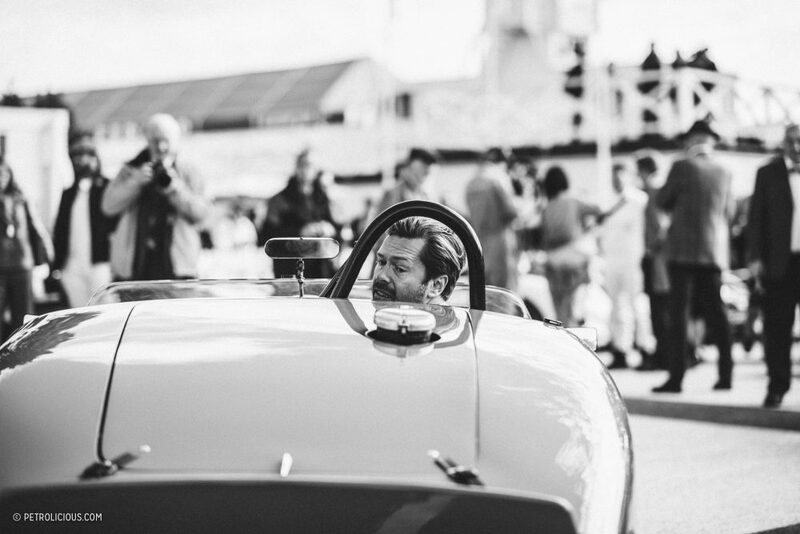 The original lifespan of the Goodwood Circuit was from 1948 to 1966. And now that the Revival has been running since 1998, it is thus rather astonishing to note that the Circuit’s second life as a vintage racing venue has now outlasted its original period! 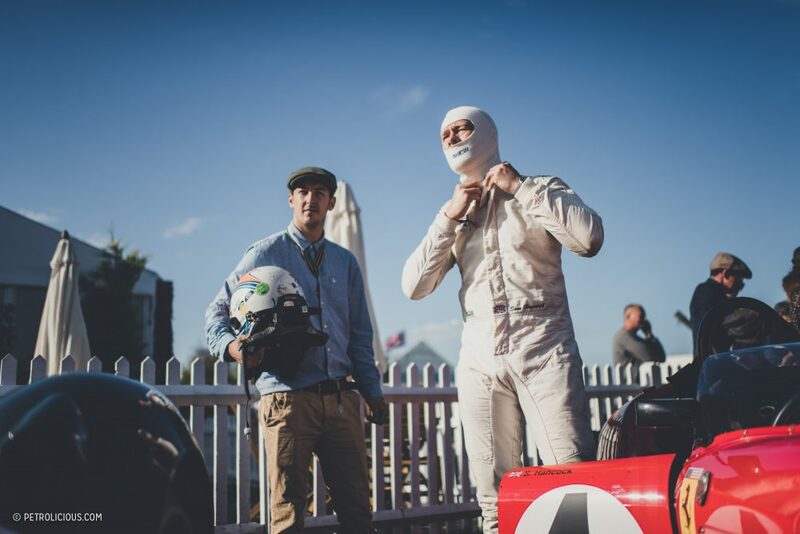 Does this mean Goodwood’s gone full circle? 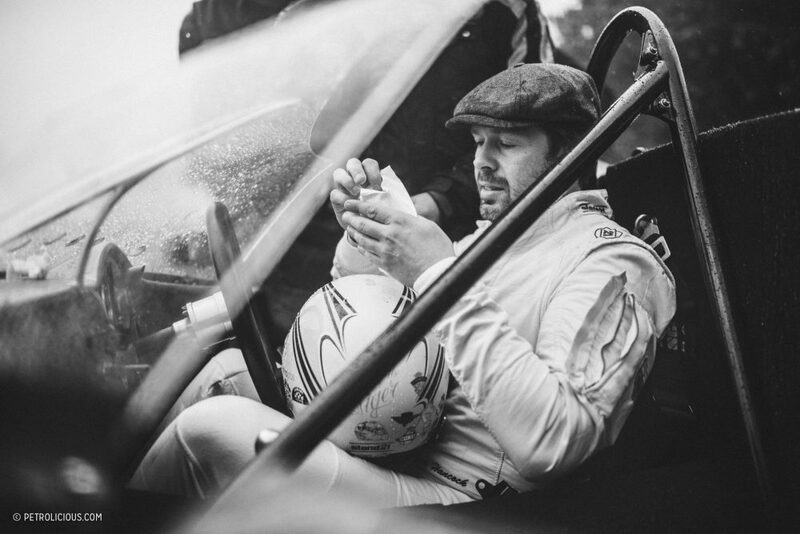 Is racing now so (re)established here that its modern story is as great as the original one? 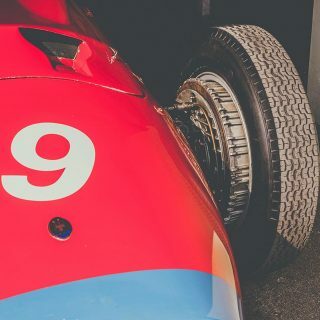 There is one very obvious difference between now and then to note first: the post-war period saw enormous development of racing cars and arguably the fastest evolution of the racing car. 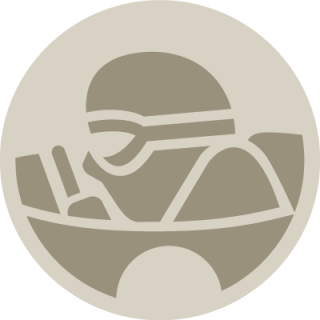 From pre-war-designed single-seaters, to rear-engined monocoques, and from simple sports cars to mid-engined GTs, no other period has witnessed such development and indeed change in competitive speeds. 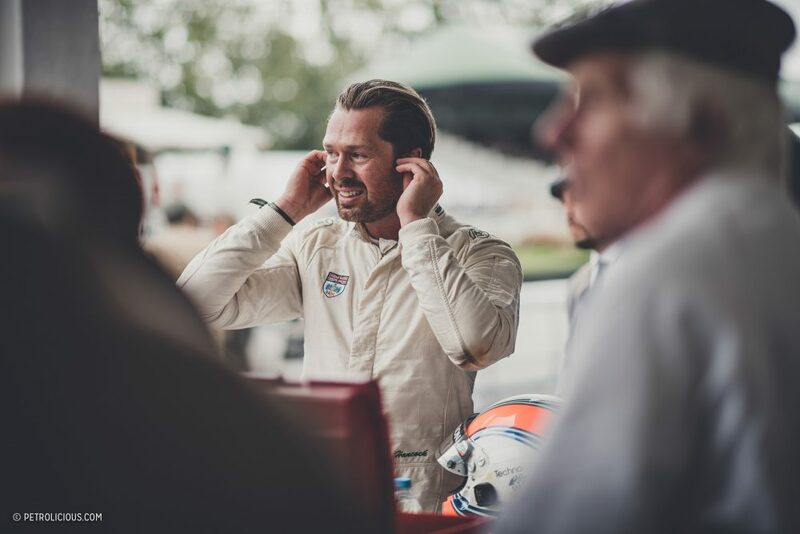 While the cars at the Revival are undoubtedly benefiting from modern custodianship, they still haven’t changed since 1998 (or indeed their original era), but what about the drivers? 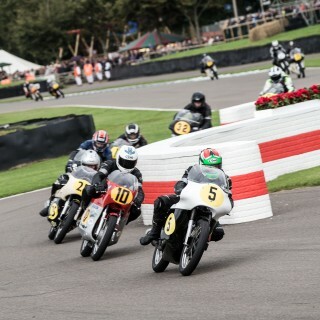 Apart from some of the old boys still racing (e.g. 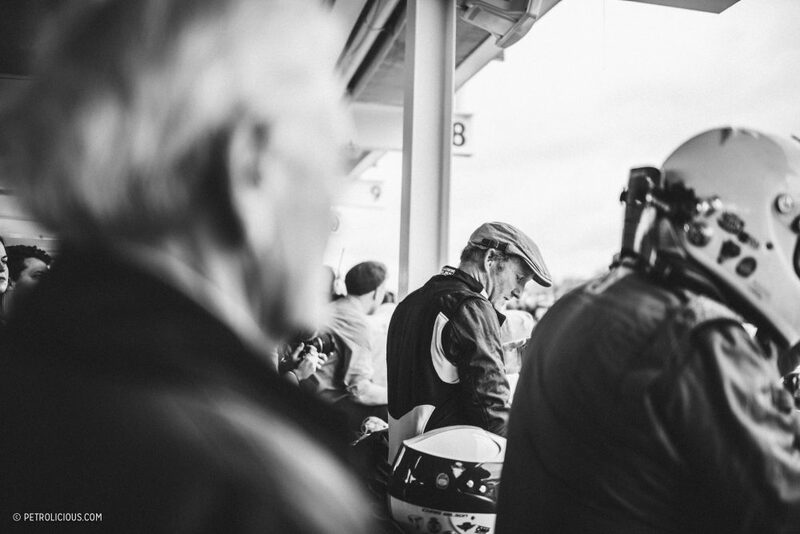 Derek Bell and Jackie Oliver), have the types of drivers changed in any material way? 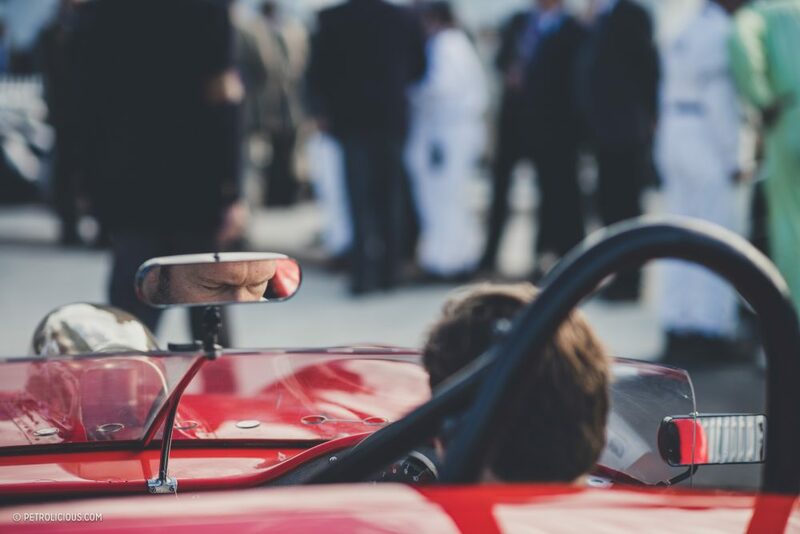 Close examination reveals a surprising similarity between the cross sections of those from “back in the day,” and those that pilot the same old machines at Goodwood now. Really? Well, pretty much. 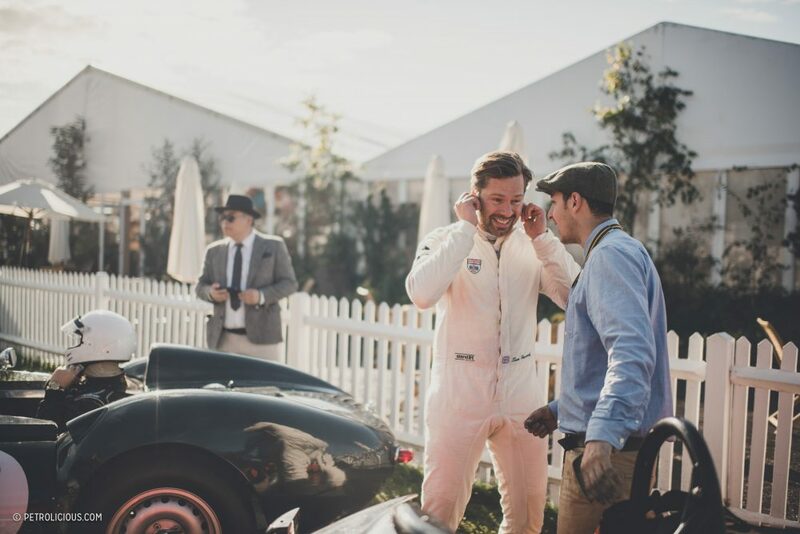 Put simply, the drivers may come in all shapes and sizes and the average age of those competing at Goodwood is quite a lot higher than it was, but they tend to fall into three categories: Gentleman Drivers, Professionals, and the Young Guns. In their time, examples of these could be Graham Hill, Duncan Hamilton, and Stirling Moss. 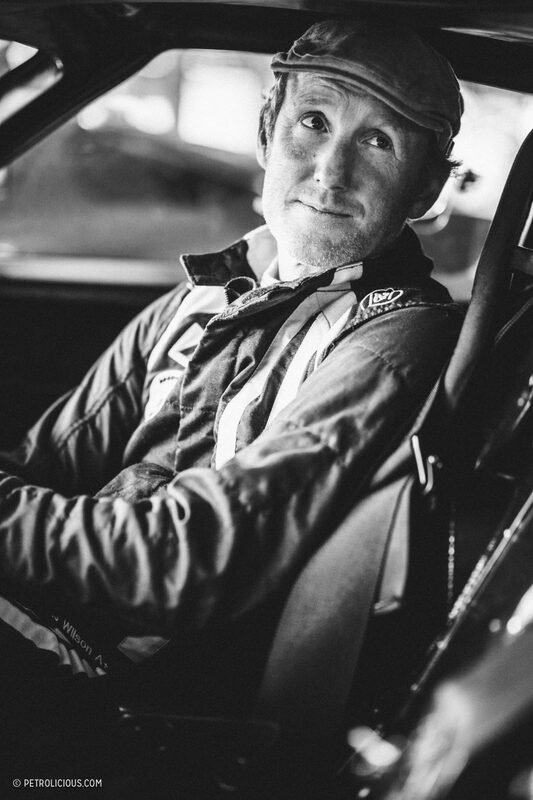 There is a big difference in periods though, as the pros, gents and young guns of yesteryear were taking part in top-flight motorsport. 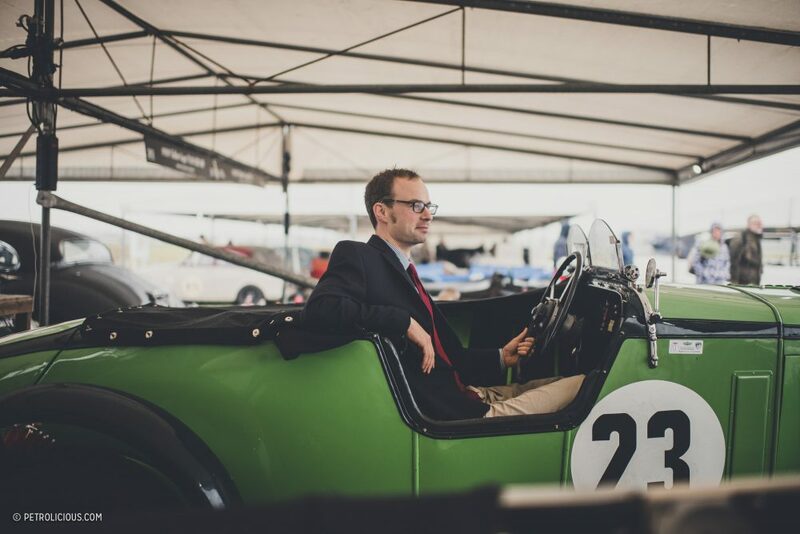 The Revival is not top-flight motorsport in the conventional sense, but the event has done a great deal to foster historic racing to a level of huge public appeal. One might argue that historic motorsport is now its own form of high-level motorsport and has a support industry all of its own. Hence the pros and amateurs in the mix. 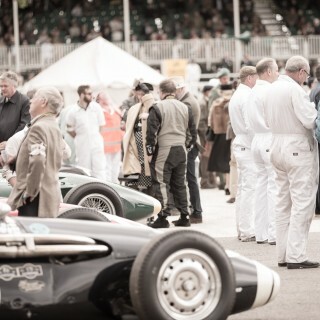 Indeed, one race at the Revival, the St. Mary’s Trophy, had 90% pro drivers of today or the past on the grid. 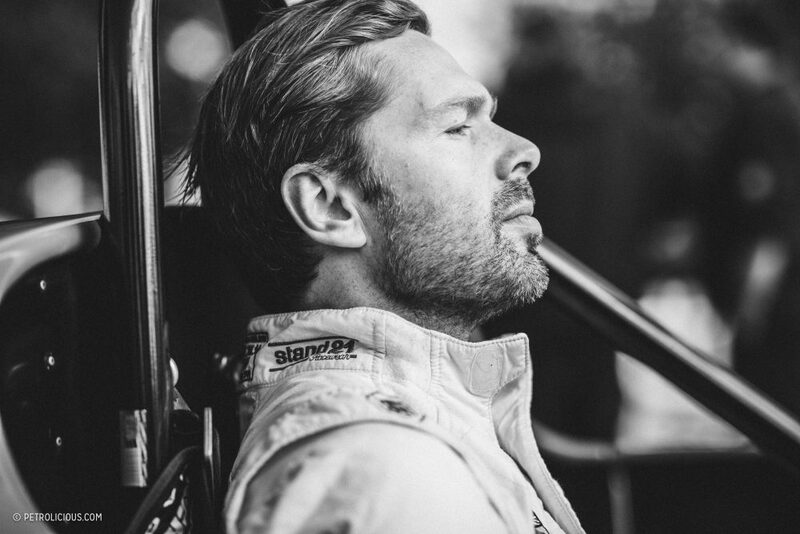 Not for nothing is the fact that the Revival’s scheduled in a way to avoid clashes with other major racing events in what I imagine is an attempt to attract the best talent to the circuit. 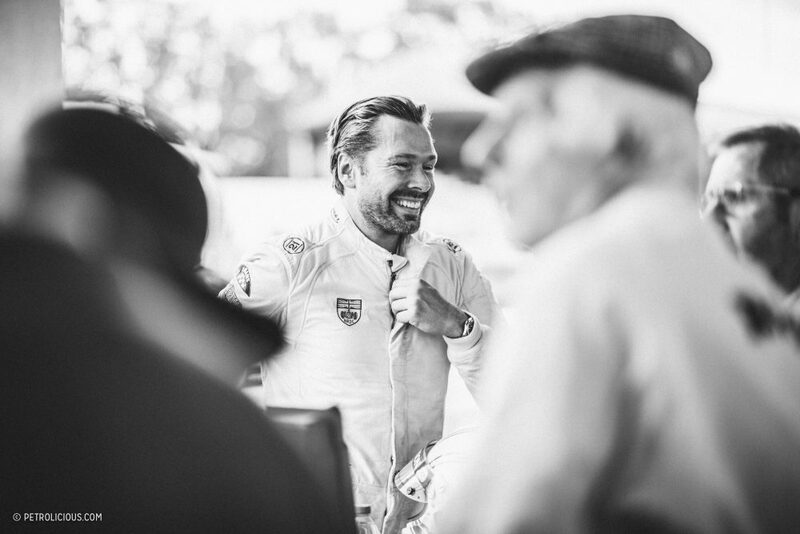 Last weekend I headed off for a damp Goodwood to follow three drivers competing today that I think fit the three profiles I’d mentioned earlier; the Gentleman, the Pro, and the Young Gun. These are their stories. 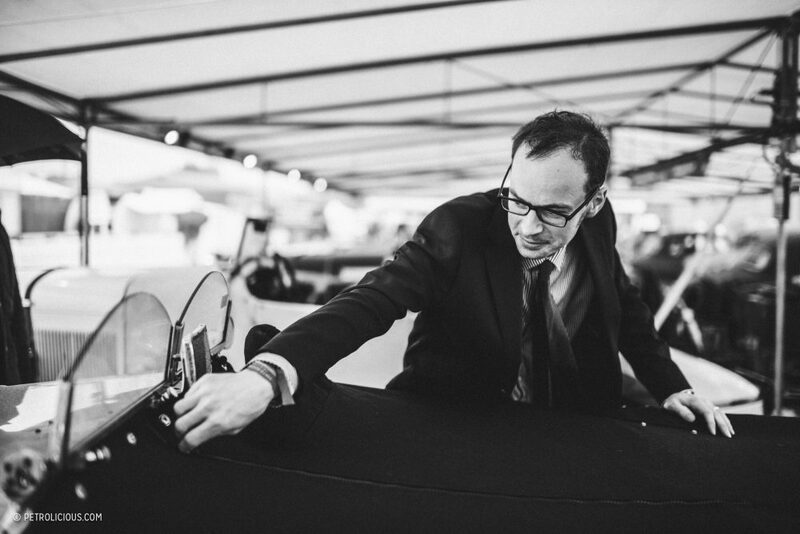 At one level, one might view the path of the urbane Chris Wilson as typical for an enthusiast. 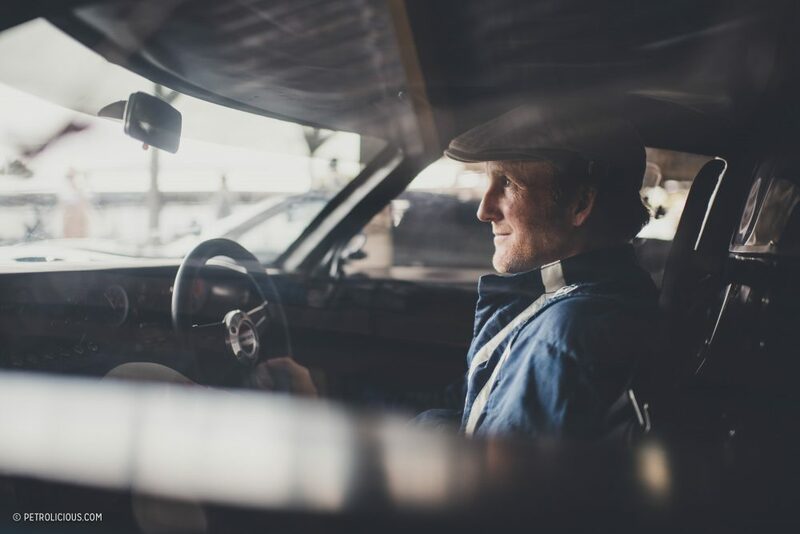 Inspired by a trip to the 24 Hours of Le Mans and excited by seeing racing at an early Revival as well, he remarks “I wondered how to get from a seat in the grandstand to a seat in a car. 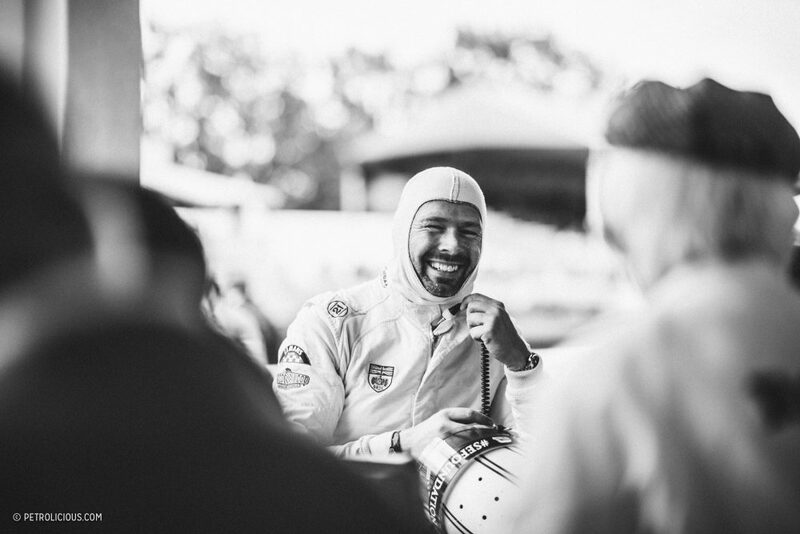 I really wanted to race at Goodwood.” Wilson’s interest and taste in cars was fueled from a very young age then by that journey to Le Mans and the following experience in England, and as a boy he worked weekends for fun in a garage near his home in Hampshire wrenching on various classics. Later he would continue to work on cars and even trade a few to help pay for his time at college. The highly-focused Wilson embarked on a telecoms career co-founding a business that went on to enjoy great success before then moving to Australia for 10 years, before coming back to the UK. 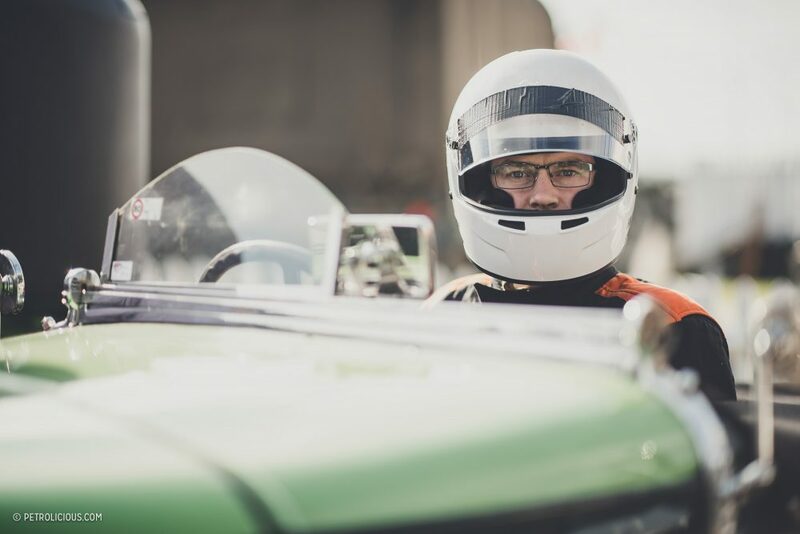 But the racing bug was never far away throughout this, and a few seasons with pro karts, tarmac rallies, and club racing in Australia further fueled the passion. Chris is a man who feels eternally fortunate which is usually how humble people feel. 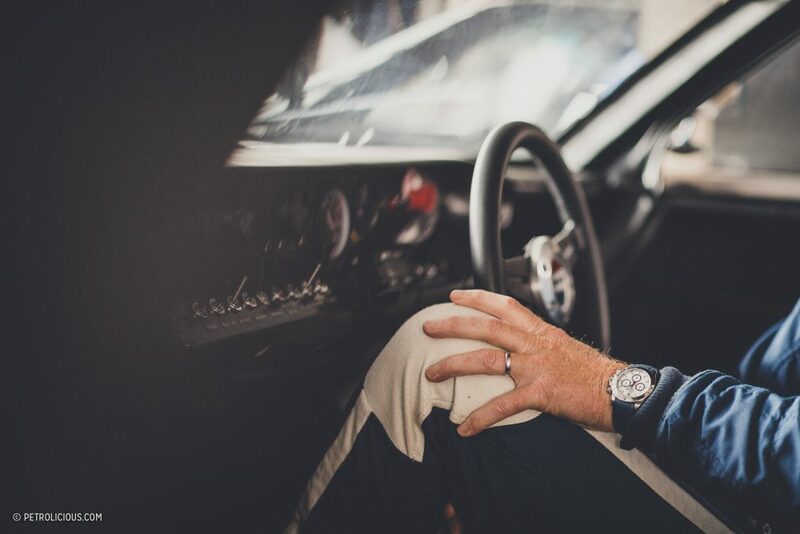 Being able to acquire Ford GT40 Chassis 1018 in 2009 was a pinnacle moment in his life, as 1018 is an ex-Shelby American production race car which had a very quiet life in period as a Shelby promotional and test car, before starting its racing career in the UK in the early 1970s. 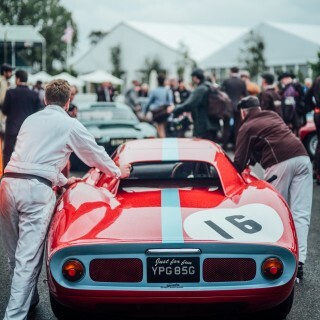 Though it began competing later than most of its brethren, it did its due time and after some seasons in the UK it was sent to race in Australia before returning to the UK and eventually finding its way into the hands of three-time World Sports Car champion Ray Bellm, who embarked on a vast and varied campaign of contemporary historic events with 1018 over the ensuing years. A few years before Lewis Hamilton was cutting his teeth on karts, there was another aspiring star: Sam Hancock. At only 37 today (Hamilton is 32), Sam’s professional career has taken a turn that he would never have foreseen in his early days. 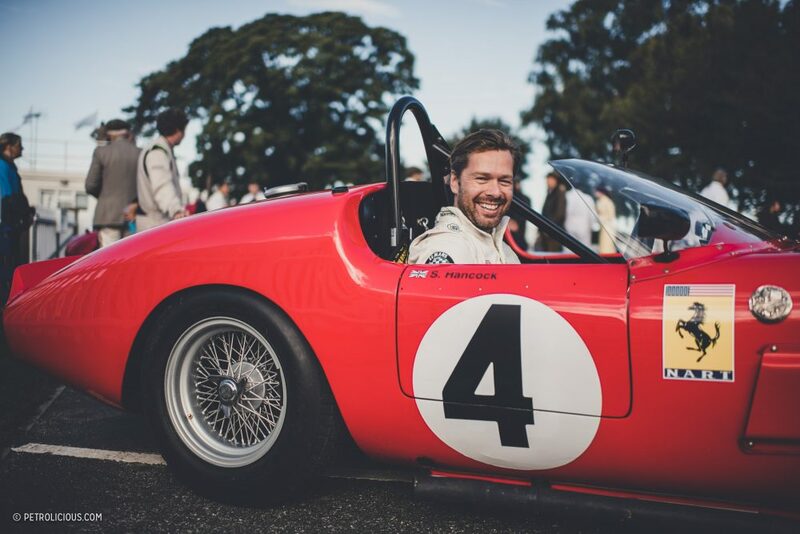 A pro in historic cars? Surely not! But given that most hot-shots have seen their star dimmed long before the age of 37, it must be said that Sam’s career now signals if not a revival, then a renaissance. He followed the well-trodden path of karts for seven years, followed by Formula Vauxhall Lotus and then onto Formula Palmer-Audi. A short stint in the US in the Barber single-seat series was followed by the altogether more serious Formula 3000 in the Jordan F1 “Junior team.” For fifteen years he has also been racing sports and GT cars at the international level and taken part in Le Mans seven times too. In 2004 he was the LMP2 Le Mans series champion, and he was a works Aston Martin driver in 2010 and 2011. The list goes on. 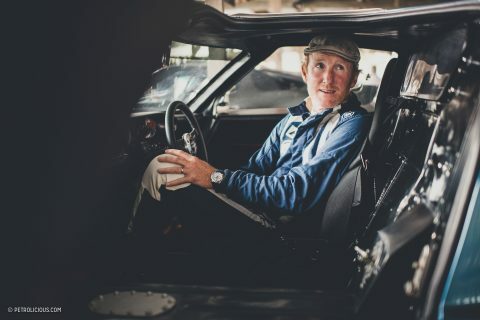 Sam is the consummate modern pro driver, and in his spare time a coach of high repute, and in 2003 he took part in his first Goodwood Revival in a Lotus XI and has been active in historic cars ever since. 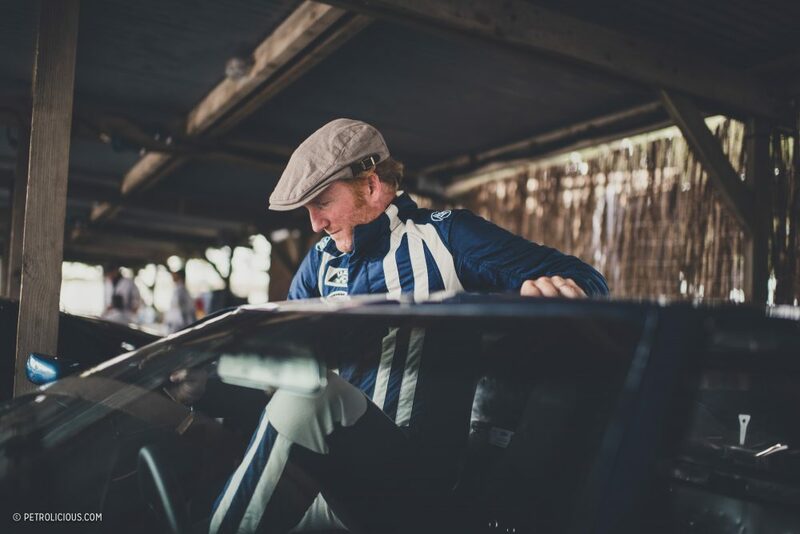 He really made his mark in 2005 though when he drove Lord Bamford’s GT40 to victory and set a new outright record for Goodwood. The race on Sunday occurred during atrocious conditions even for England, and it got wetter as time passed. 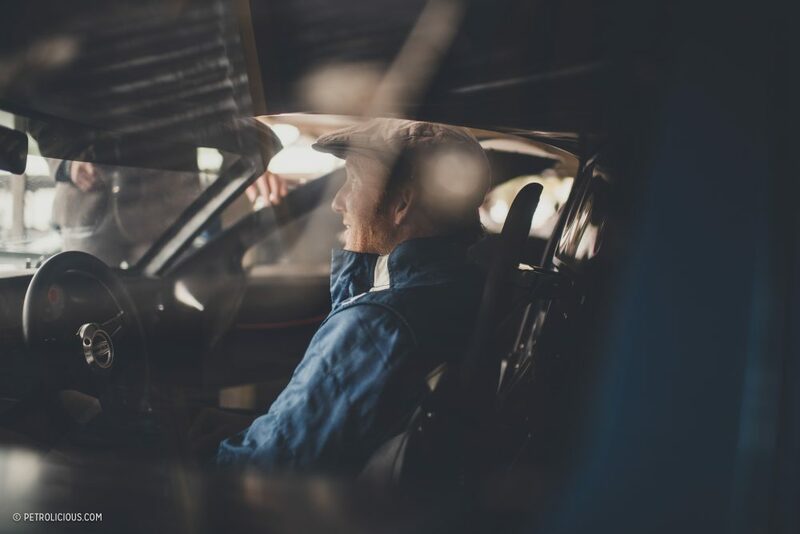 On his out lap it was apparent that he would need to choose between looking through the wet screen and visor, or looking over the screen for better visibility but less comfort. He chose the latter. 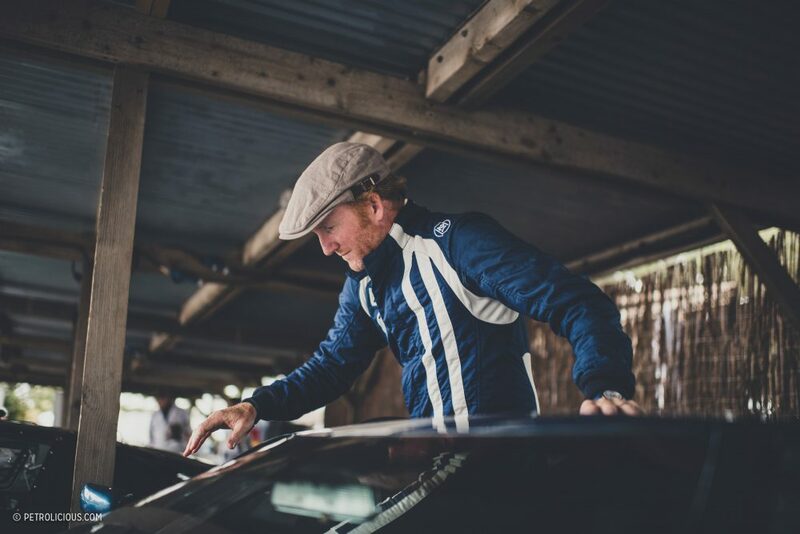 Sam’s practice and knowledge of the track enabled him to make the best of the drier lines and he managed through the deluge to get up to second position by the end of a dramatic first lap. 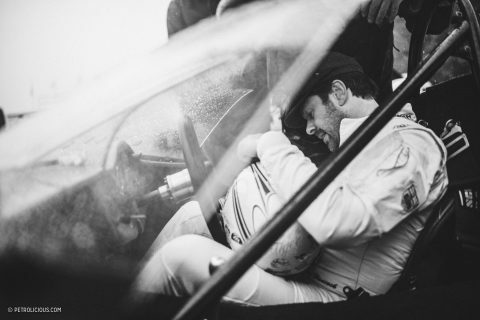 Bryant’s Lotus 15 was a formidable foe, but the Ferrari’s pace with more power and better brakes would help Sam take first place on the Lavant Straight and then establish a comfortable lead that he held until the final flag. 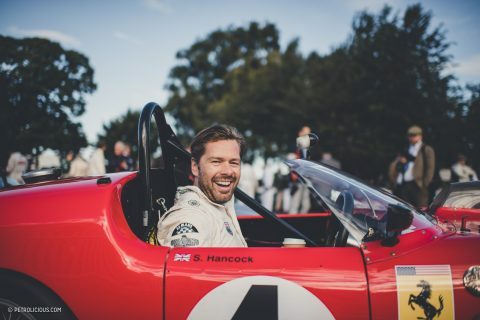 “I rated this win very highly, not least because the car is so special and for a Ferrari to win in their 70th year with such an important car from their past.” Sam counts himself as fortunate to have the chance to be in such a machine, and is grateful to the Leventis family for their generosity. But clearly his professional quality has a lot to do with his good fortune. 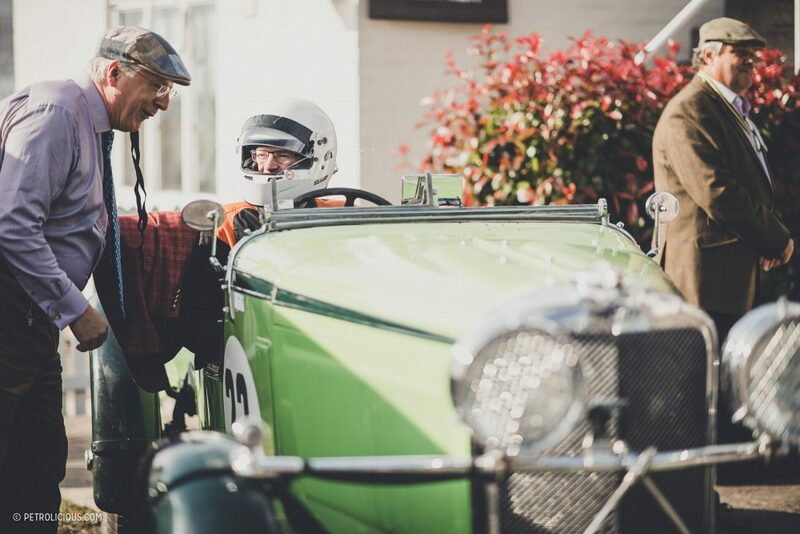 The famous Talbot is a former works race and rally car, and in its period it had done an enormous amount of motorsport at Brooklands. This very car held numerous records at that venue, including 100 miles at 100mph, and an outer circuit four-seater record of 129mph average speed. It is perhaps best known for winning the grueling Alpine Cup in 1934 though. 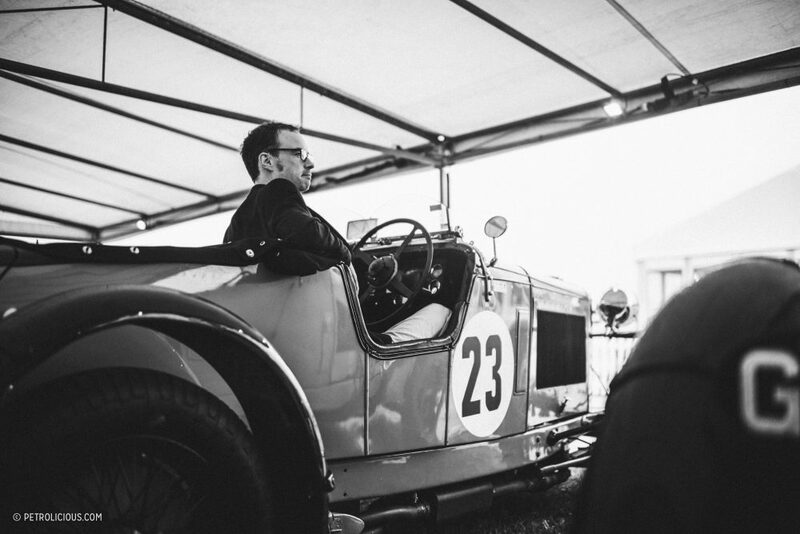 This then is a very important pre-war racing car and grand tourer of its day. Does this daunt Polson though? 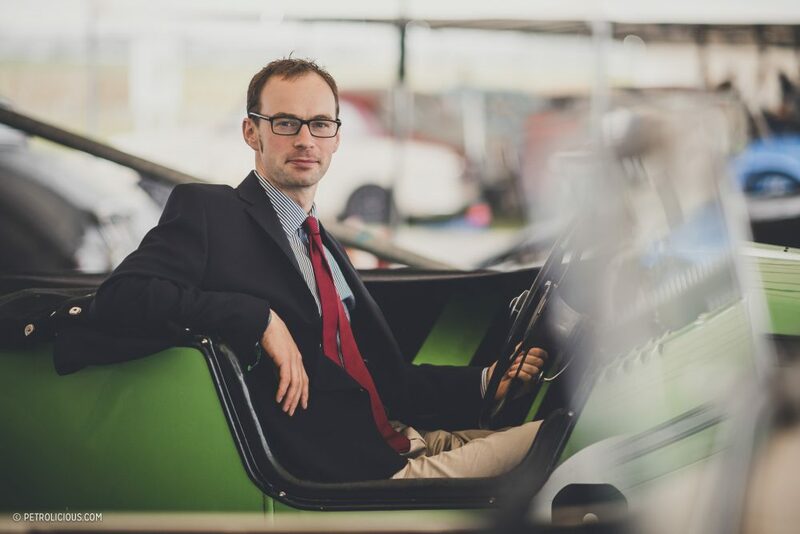 “It’s such a great car, I am conscious of its value and maybe hold back a little, but it’s a very forgiving, stable, and strong car with very good rod and cable brakes and a very decent turn of speed. It’s not the lightest pre-war car here, but its engine propels it well. 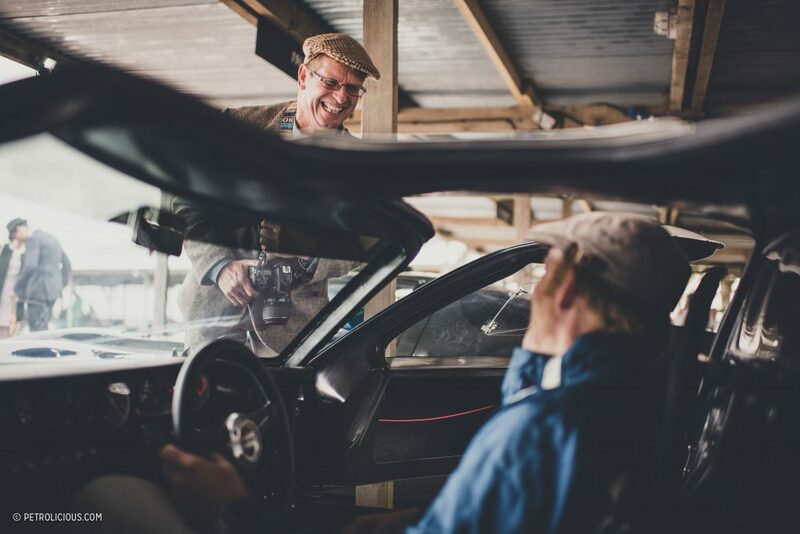 None the less, it’s a very physical car to drive.” Whilst John is a young and yet seasoned historic driver, the owner of the Talbot Wilfried Schaefer is very happy to see the car put to its intended use. I had the pleasure of meeting Mr. Wilson at the Historics at Daytona. The man can drive and performed beautifully on the banking. 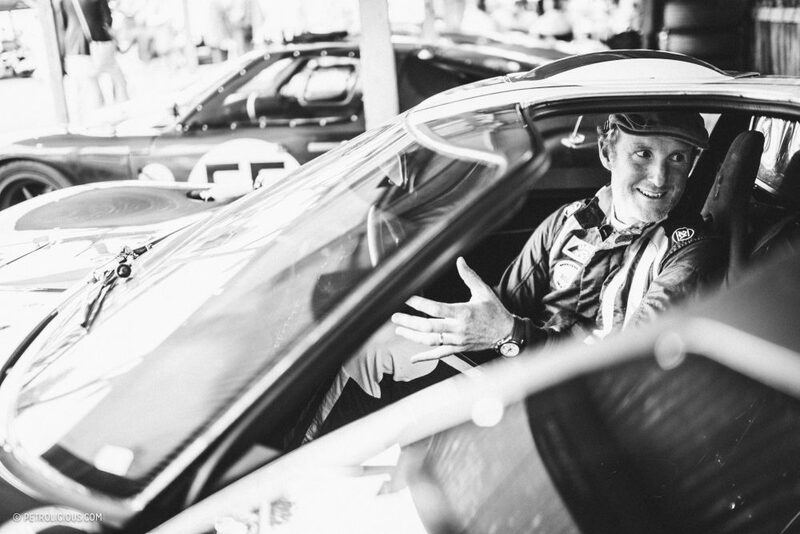 He took the time to answer all my questions about the GT 40 he was driving while the car sat in the pits between races. The car at night was stunning with its solid discs glowing red after coming off the banking and hitting turn 1. These are great events to attend and long may they be held. 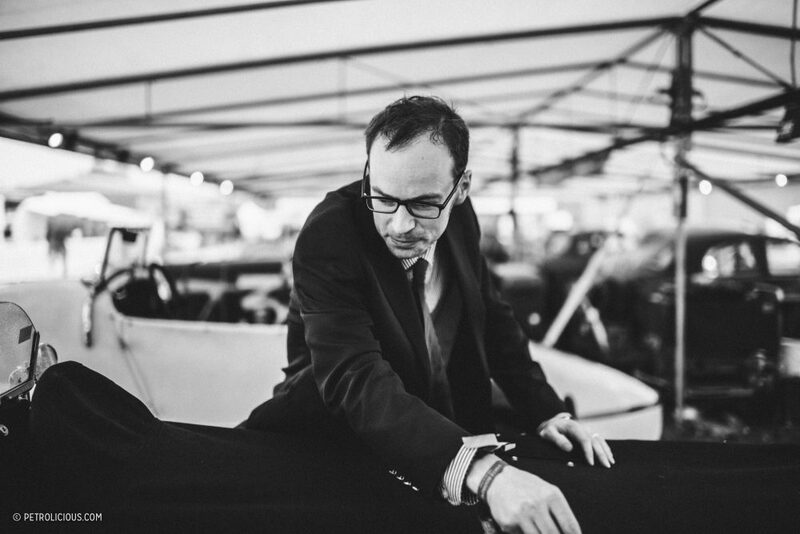 If you get the chance they are a must attend for any car enthusiast. Well done Stephen and Amy, a nice read, stunning pics, and lovely to be featured on one of my very fav websites. Thanks all, am most grateful! Really enjoyed reading about the stories behind the drivers, the photographer clearly has quite a knack for capturing the feel of the event in a way which perfectly compliments the story. Great work Petrolicious, keep it up. 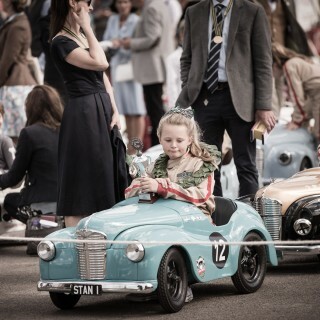 The Queen of Goodwood! Always love Amy’s work. She was nice enough to give me some tips when I was heading over to the Revival for the first time a couple of years ago. Keep it coming Amy! I like this idea for an article. If I could make one suggestion, I’d say it might be cool if you split it into a two-parter, with an introduction to the drivers and their cars and their expectations for the races prior to the event, and then a follow-up on their results afterwards. I like to watch the races online, but I’m often wondering “who are these guys?” So some backstory on a few drivers before the races start would be interesting. I’m not sure if that would be practical for your publishing schedule, but maybe something to think about.